If you are a tenant who will be soon moving out, you came to the right place. Hello there, you confused mate. You might be wondering how to get full refund on your deposit money. Let us explain it to you briefly. Tooting, SW17 is very busy and a lot of people rent different places. You know how things work. Keep reading if you want to know how to get your deposit back. Our cleaning company is exactly what you need. We offer different kind of services and end of tenancy cleaning is one of them. No matter the service, we are known for giving our best when it comes to professional cleaning. Being busy in Tooting is exactly what we want. We aim at the toughest and highest targets and we deliver the best results. Our professionals do their work with care and attention. When you decide to move out just call us and we can schedule a proper time for you, so we can come and clean the place. When you have the time, we have the time. The cleaning teams, working for us, are very serious when it comes to cleaning. If they have to, they will stay as long as the cleaning process requires. This is not a problem for us. Our intentions are to give you what you deserve and to help you get your deposit back. Being the best in Tooting comes with hard work and guaranteed perfect results. Another thing is that our competitors lack the professional cleaning of ovens service. However, we offer this service and we will happily do it for you. 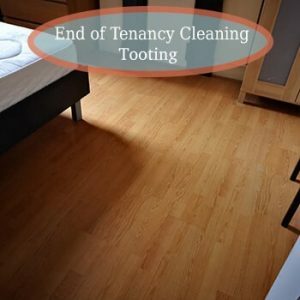 Here is another advantage: if an inspector comes to value the cleanliness of the property, and it doesn’t cover the desired level, we will come back and do the end of tenancy cleaning once again, free of any charges. Do you want your home to be always neat and tidy? However, it often feels like the time is never enough to deal with all of the responsibilities this dynamic world offers. So in case it is hard for you to be on top of the housework but you do not want to compromise on the poor look of your home and the low levels of hygiene, do not hesitate to turn to our company and schedule your appointment with our housekeepers. 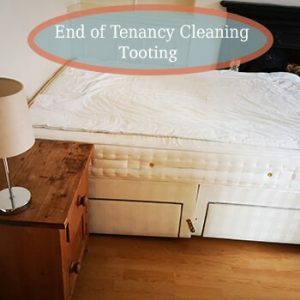 We are available in Tooting and we are at you disposal seven days of the week. We can always send a competent team of housekeepers to help you do the chores around your home. All of the cleaners who work at our company are supplied with cutting-edge technologies and high-end cleaning products to rid your home of detrimental germs and contaminants. We do know that every home is unique but we have worked out strategies and techniques suitable for a range of properties. We do not care about how many rooms are in the property or their condition because we always work hard till the last speck of grime is gone. Book us from anywhere in Tooting.